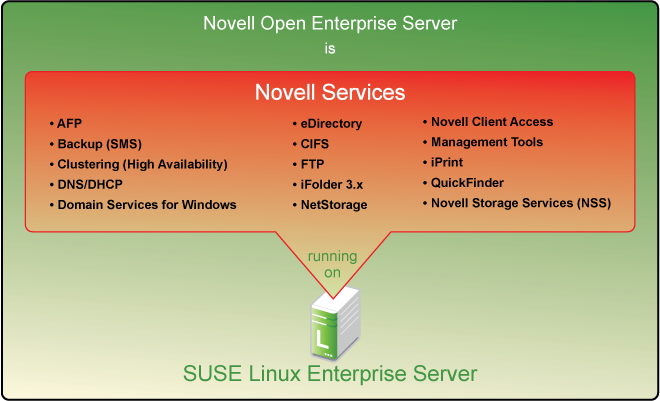 Open Enterprise Server 11 (OES 11) is the next generation of the Novell services that have long been valued by a wide variety of businesses and other organizations, ranging from small businesses to multi-national enterprises. When you install OES 11 SP3, you install SUSE Linux Enterprise Server (SLES) 11 SP4 as the core OS and the OES components as an add-on product. This guide provides an overview of the planning and implementation processes involved in upgrading from NetWare to OES 11 SP3. It provides overview and planning information along with links to specific implementation instructions. This guide does not replace the specific upgrading and planning instructions found in the regular installation and migration guides that you should follow carefully to ensure a successful upgrade to OES. We want to hear your comments and suggestions about this manual and the other documentation included with OES 11 SP3. Please use the User Comments feature at the bottom of each page of the online documentation. For the most recent version of this guide, see the OES 11 Documentation Web site.